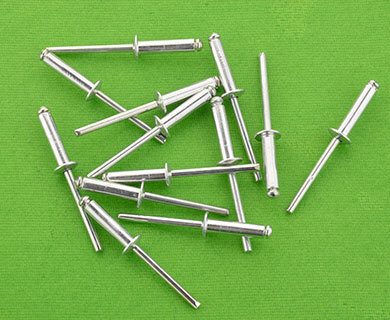 Semi-tubular rivets (also known as hollow rivets) are similar to solid rivets, except they have a partial hole (opposite the head) at the tip. The purpose of this hole is to reduce the amount of force needed for application by rolling the tubular portion outward. The force needed to apply a semi-tubular rivet is about 1/4 of the amount needed to apply a solid rivet. Tubular rivets can also be used as pivot points (a joint where movement is preferred) since the swelling of the rivet is only at the tail. 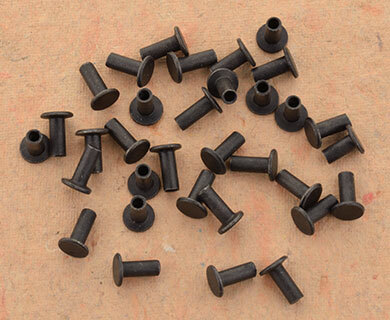 Solid rivets expand radially and generally fill the hole limiting movement. We provide hole depth as per the dimensions provided. 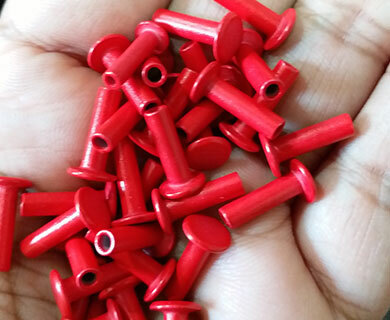 If no details are provided then we manufacture rivets in accordance to the maximum hole depth as defined by Bureau of Indian Standards.